Just 10 minutes from Junction 19 of the M5, this open-air swimming pool boasts fun, exercise, and free parking. It’s even got an acclaimed restaurant that overlooks the north Somerset coast. Big kids and small alike will love Diggerland and it’s less than three miles from the M5, Junction 28. There’s a restaurant plus picnic tables. And you can ride on and drive all sorts of diggers and dumpers. It’s not scenic, but it’s fun, particularly for older kids. Probably one of most famous motorway service stations, and for all the right reasons, Tebay features locally cooked meals and fantastic views of the dramatic Cumbrian hills. Although it’s on the M6 there are soft play areas for kids and footpaths for leg stretching. If you’re heading for Dorset’s Jurassic Coast, take either junction two or three on the M27 and within minutes you’ll be transported to a world of ancient trees, babbling brooks and rolling lawns. You can take your own picnic, enjoy light snacks in the café or a more formal lunch in the restaurant. No road trip to East Anglia would be complete without a stop at the Farm Café. A few miles from Woodbridge in Suffolk on the A12, it combines a café that describes itself as ‘passionate about food’ with a farm shop so you can stock up on quality goods on the way to your destination. The beauty of this National Trust property is that it’s equidistant between Junctions 31-33 of the M62 and Junction 38 of the A1M and also close to Junction 39 of the M1. The house has a fine collection of antique furniture and there are different activities aimed at kids every day of the week. Or you can simply enjoy a leg stretcher in the gardens. 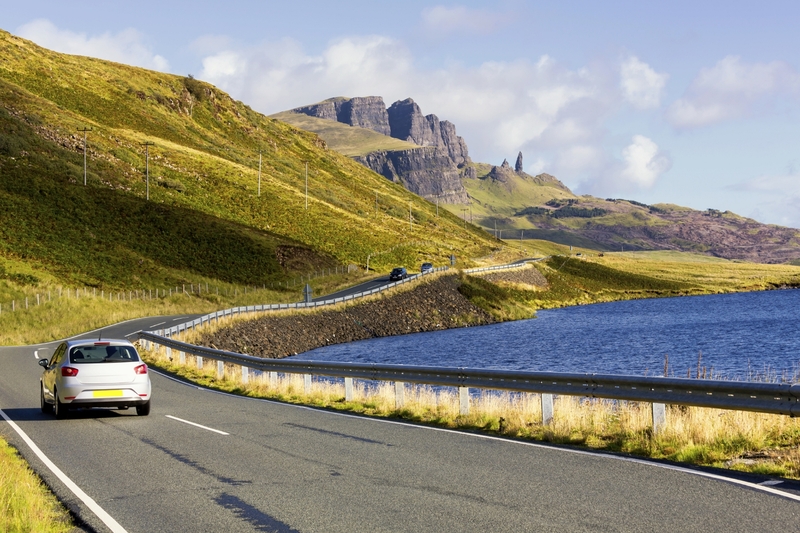 The Green Flag research shows that driving holidays have increased in popularity over the last decade, with 41 per cent of Brits claiming they go on road trips more than they did 10 years ago. And more than half (54 per cent) cite exploring the landscape as the reason they get behind the wheel. More than a third (39 per cent) say they choose this way of travel because it guarantees quality family time. However, with more cars taking to the road, Green Flag is expecting 97,596 breakdowns. More than 21,000 of those will be caused by flat batteries and 12,187 will be through punctures. Read our expert’s simple tips and tricks on preparing your car for driving holidays.